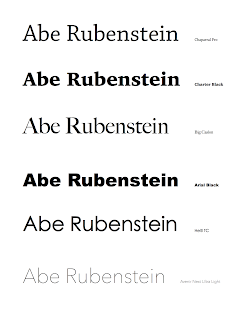 I set my name in six different fonts (three serif and three sans serif) to explore which font styles I prefer. 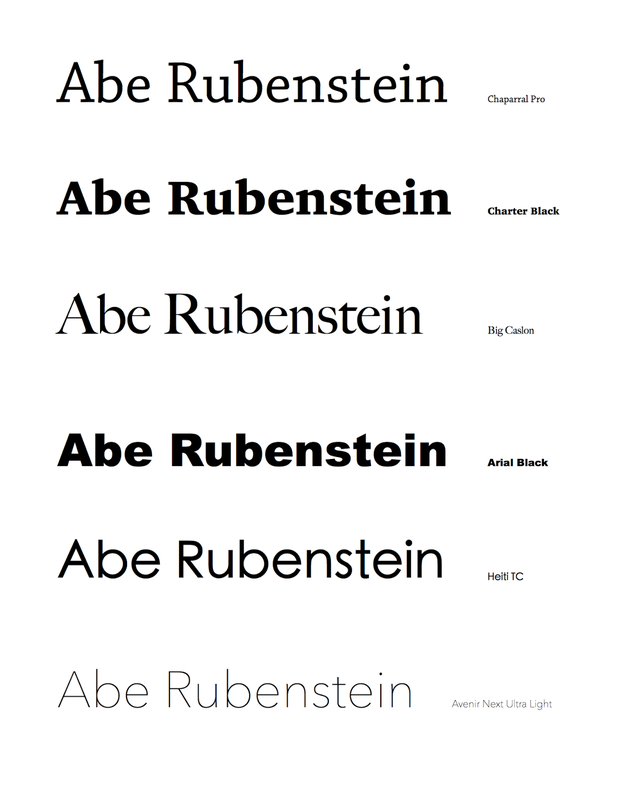 It became clear that I prefer a relatively simple font style, regardless of whether or not it has a serif. Also, I discovered my penchant for large x-heights, as almost all of these fonts have this characteristic, and that my name lacks letters with descenders so it's hard to comment on the baselines. I really like the third on the list, Big Caslon, because the capital A has a very distinctive glyph with a slant on the top. It makes the first letter of my name stand out nicely. 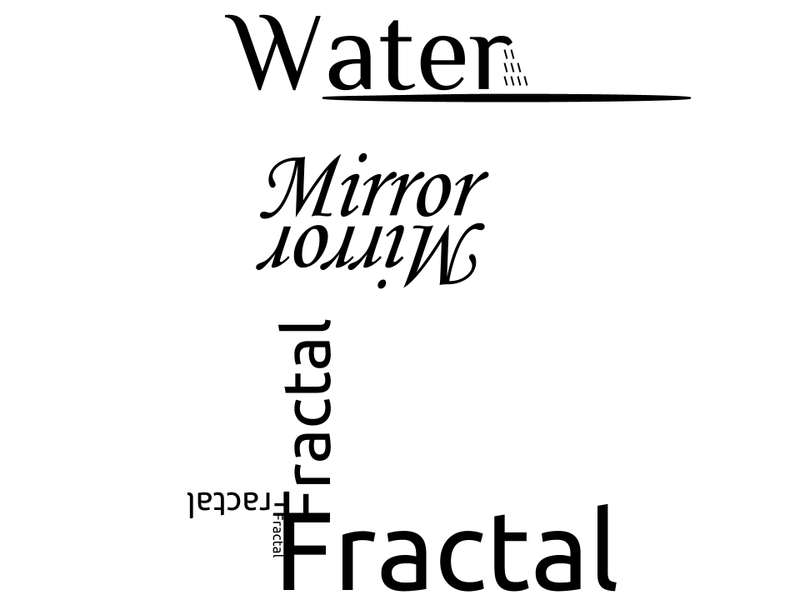 The expressive words were difficult to design but by the third one I felt more comfortable with the idea. 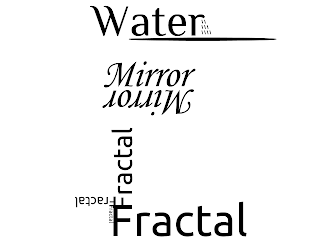 I think my fractal-themed word design is by far the best.